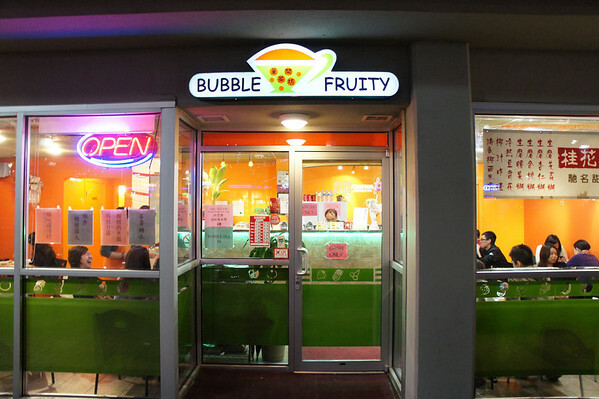 My girlfriend and I discovered Bubble Fruity a few weeks ago through Yelp. We were trying to look for unique Asian dessert places. Surely enough we found Bubble Fruity. We decided to try it out. We walked in right before 9PM and the restaurant was already filled with people. There were less than a dozen small tables. Some people were waiting for take out, so we waited for roughly 5 minutes before we got a table. The inside was jam packed. It reminded me of Hong Kong dessert places that I see on HK dramas. 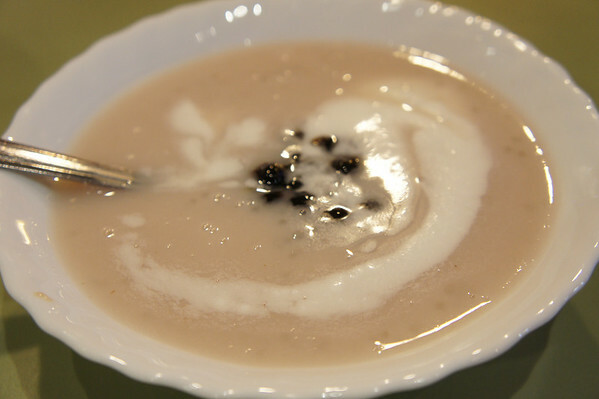 If you want “tong suey” (sweet soup dessert), this is the place to go! 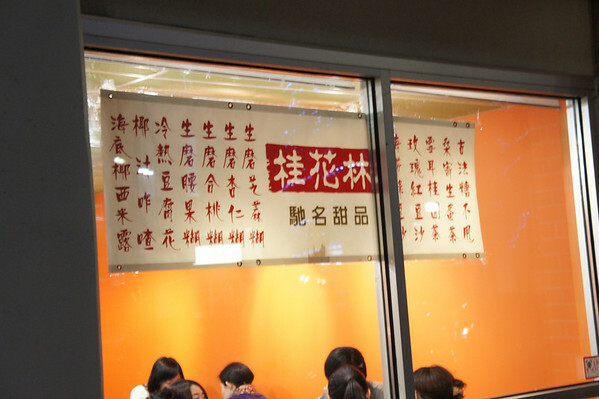 They have a variety of Chinese desserts. 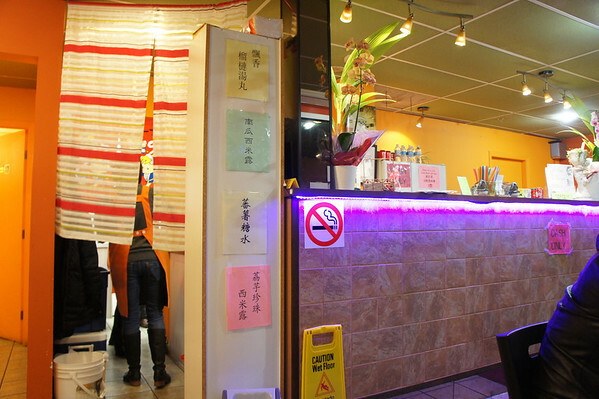 As well as, bubble tea and snacks. My dessert was pretty good, I loved the smell of it. Though, it seems pretty original. But I thought presentation was a plus. 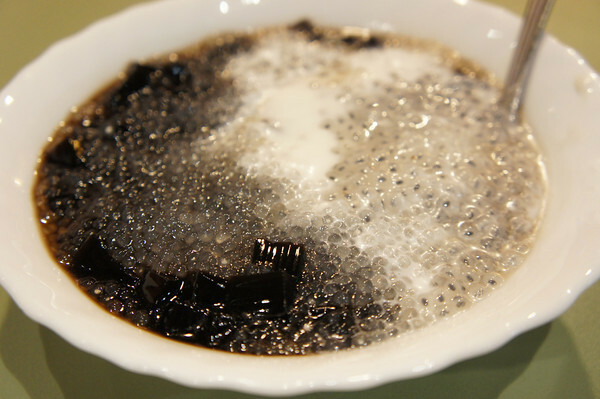 My hun got this grass jelly dessert with sweet coconut milk, tapioca balls, and some fruit that looks like tapioca (but not). Hers was cooler than mine, and I thought the flavours were not as even as mine. However, I still liked the presentation. I think dessert is mostly about the presentation, or should I say all food. If not presented nicely, it’s just less appetizing. Overall, I am pretty satisfied I found this place. But I would caution that there may be a bit of a wait as the night progresses. After all, they only do business at night. I would suggest parking on the adjacent streets after 9PM as they are free. So you could imagine why this place would be filled up after 9PM. The desserts here are not cheap, averagely ranging from $4 and up.